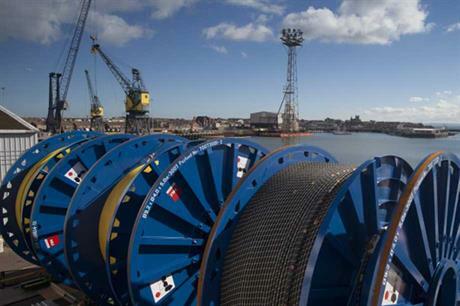 UK: Cable supplier JDR has signed a framework agreement with Bibby Offshore, specialists in subsea construction, inspection and maintenance services. JDR will provide cable maintenance services and offshore personnel, including high voltage and fibre optic cable jointers. Bibby Offshore will deliver project management and engineering services, plus a vessel equipped for on-deck cable handling. Bibby will also provide cable laying and subsea equipment for cable lifting, excavation and burial. The agreement was signed on 21 June at RenewableUK's Global Offshore Wind conference in Manchester. According to insurance underwriters GCube, incidents relating to the installation and operation of high-voltage subsea cables are the most costly cause of financial losses in the global offshore wind industry. Industry claims amounted to more than €60 million in 2015, said the company.